DD FreeDish is India's Free Direct to Home servier by Indian Government. DD FreeDish DTH broadcasting about 80 SD TV channels. Recently on 4th July 2017, DD Freedish completed 36th online e-Auction for filling its DTH slots by private TV channels. 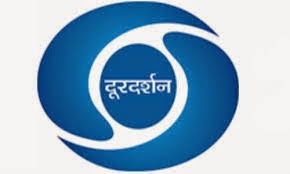 It is very good update that Doordarshan's DD Free Dish earned Rs.85.10 Crores as carrige fees from 11 TV channels which renewed and won DTH slots. The channels that have won the slots include Zee Hindustan, Zee News and News18 India and Star Utsav, Zee Anmol, Rishtey, B4U Music, Bhojpuri Cinema and Housefull Movies. Also, Star India has won two additional slots. First for "Star Sport First" and the second channel are not available since the broadcaster does not wish to reveal its plans at this stage. It is first time DD Freedish earned this amount as carrige fees of DTH slots. This information shared by Supriya Sahu, Director General of Doordarshan, Prasar Bharati on twitter. Total 11 private TV channels participated in this e-auctions; 3 News channels and 8 general entertainment channels included Star Utsav and Star Utsav Movies. As you know Freedish already got approval to increase DTH slots capacity from 80 to 250 channels, although 24 slots will be added by July-August 2017. So total channels will be by this year about 104 TV channels. These 24 slots may be in MPEG-4 quality which can be receive by only iCAS enabled set-top box. iCAS enabled set-top boxes will be available in market by July-August 2017. 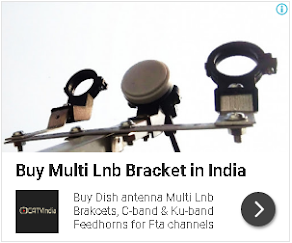 For more information of your Free DTH service keep visit this site. For more information you can visit DD India website. add atleast two three hd channels also. will star sport first broadcast international match of cricket indain team match test,odi,t20? ?